There are a lot of characteristics that you need to look for in a potential employee during the hiring process. Of the many things that you need to look for in a candidate is their ability to reason. A lot of decisions are based on the quick wit and the reasoning abilities of the employee in question. For example, you have two employees dealing with the same high pressure situation. Now suppose the client tells both of them to have the deliverables ready by this time on that day which appears to be a difficult task to meet. The candidate who has higher reasoning skills will take some time, assess the possibilities, talk to his superior and then talk to the client and try to negotiate the deliverables which will be suitable for both of them. This means that the candidate with clearer reasoning capabilities makes for the right fit because he will respond to the situation better. But, how do you make sure that your candidate comes with high reasoning skills, because interviews and CVs do not reveal that much about a candidate. So you can get a professional to design a logical reasoning test based on the requirements of your company and you can pass it along to the candidates who have applied for the job and find out which candidate has the required set of logical reasoning skills. Candidates with higher reasoning skills make better employees in corporate houses. It is because they can respond to the situation in such a way that will be good for the client as well as the candidate. Candidates who are good with reasoning are also pretty adept at talking to client and interacting with their supervisors and have proper plans that they can pitch for the growth of the company. Once you start thinking logically, you get a clearer picture of the situation because of which it you will be able to respond to it better. Logical reasoning skills are extremely beneficial when it comes to crisis management where the right decisions need to be taken in a very short period of time. 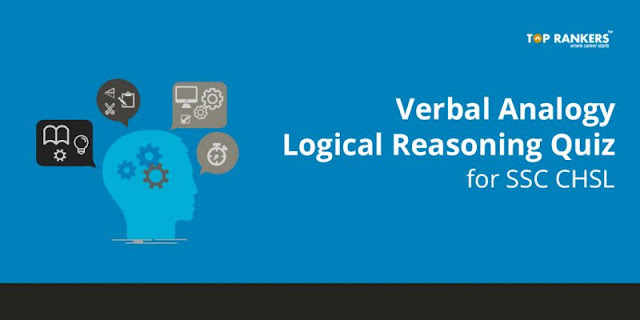 How are logical reasoning tests conducted? There are a number of ways through which this test can be conducted. One of the most efficient and hassle free ways of using this test when you are hiring candidates, is to get professionals who will design this test for you and will also assess the results. It is important to leave this job to the experts because you want the efficiency of the test to be 100% which will be vital for your hiring process. How does it help companies when hiring? These tests will measure the capacity of a candidate in question as to how logically sound they are. Once you have the results in hand, depending on what kind of a logical reasoning skill set that you are looking for, you will be able to take your pick. When it comes to skill assessment of potential employees, a logical reasoning test is instrumental and highly beneficial. So if you want to make the right hiring decisions, this is something that you need.